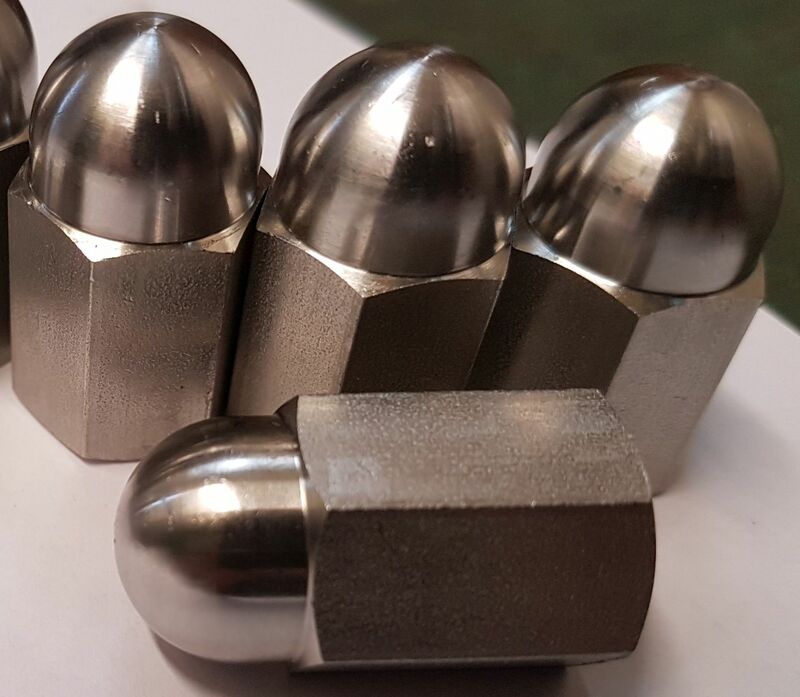 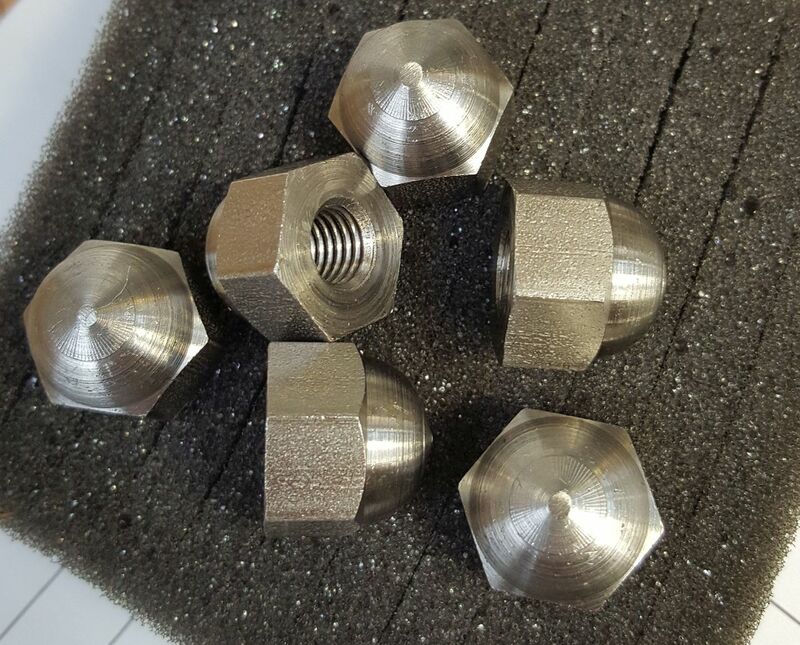 Trojan Special Fasteners Ltd can manufacture a number of dome and acorn cap nuts to standard, your drawing, sample or your specification. 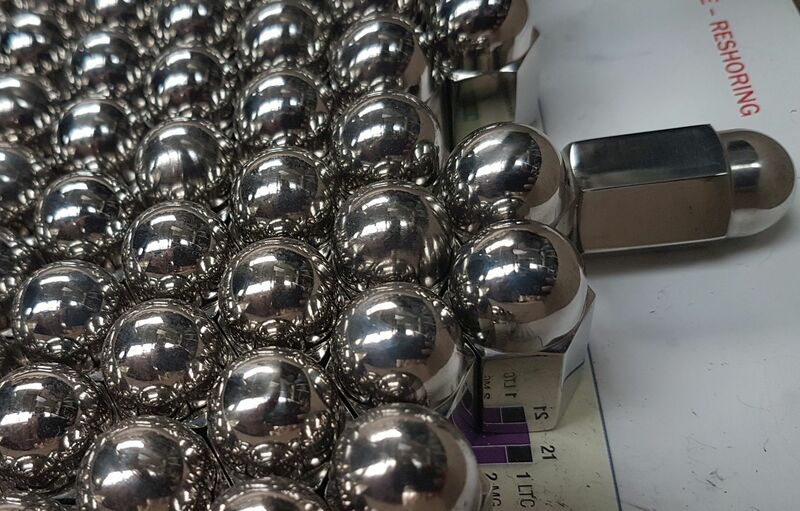 We can provide a head polishing service on some sizes too - just ask at quotation stage. Trojan Special Fasteners will manufacture, from bar turning, high precision acorn cap nuts. 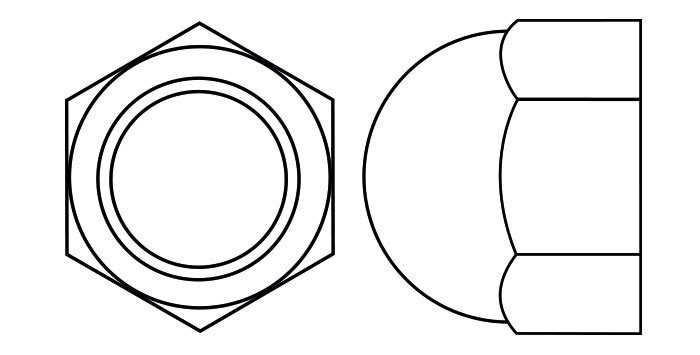 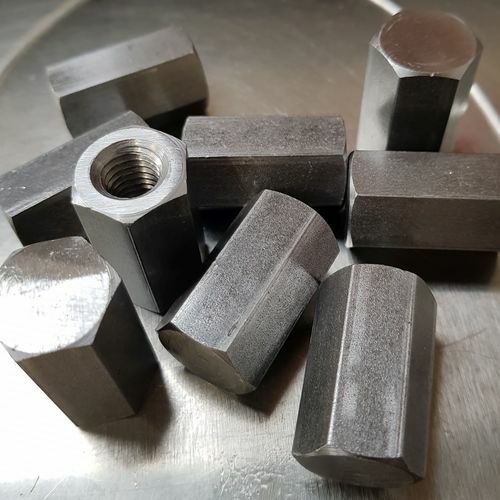 Alternative names such as crown hex nuts, blind nuts, cap nuts, dome nuts or domed cap nuts exist. 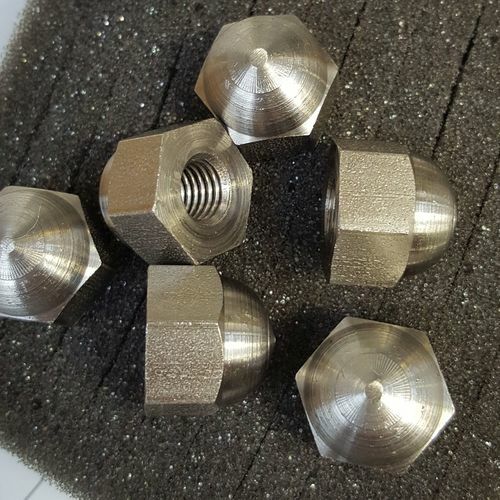 It is chiefly designed to provide a dome or cap end to cover a thread in order to protect external threads. 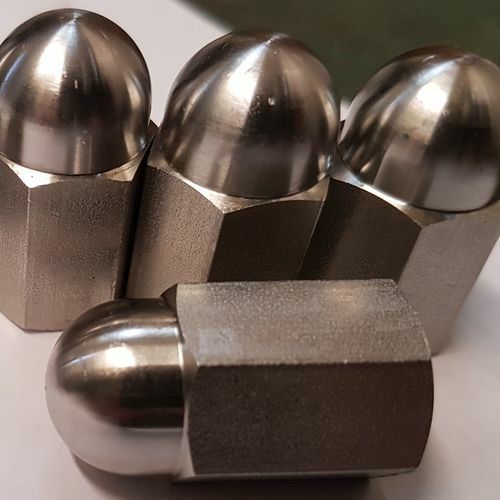 We can make these with standard domes or, to whatever kind of 'rotated design' you're looking for. 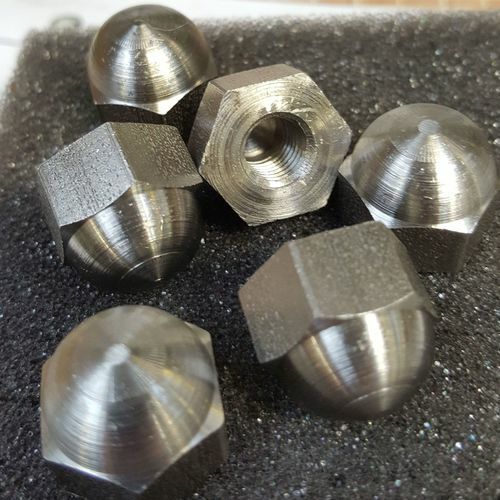 If it can be turned on our machines, we can make it for you. 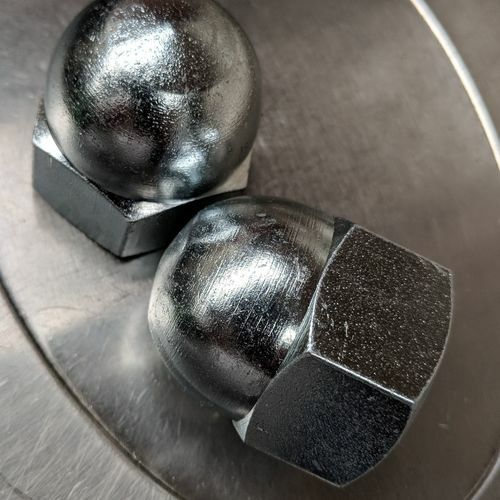 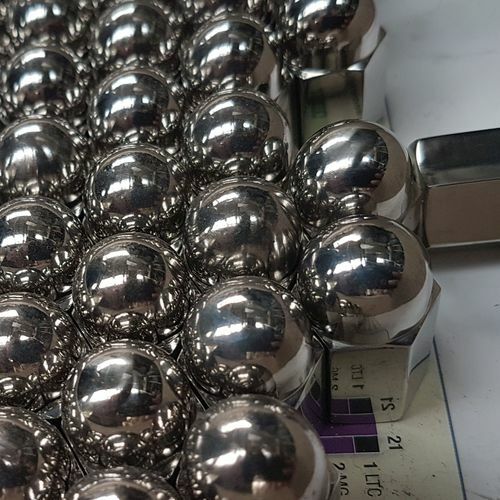 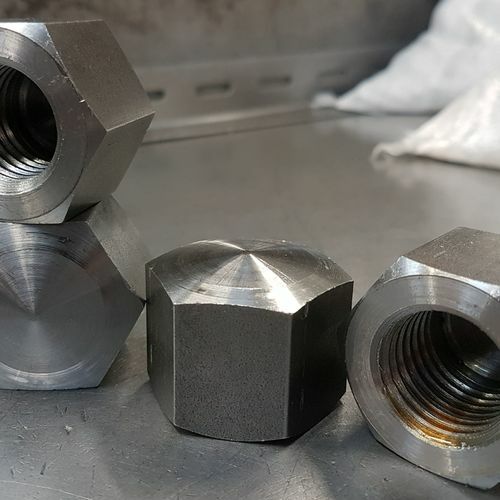 It is common for customers to ask for flange or collars to be added to such nuts - this is perfectly feasible, just send us a drawing or your spec and we'll take care of the rest. 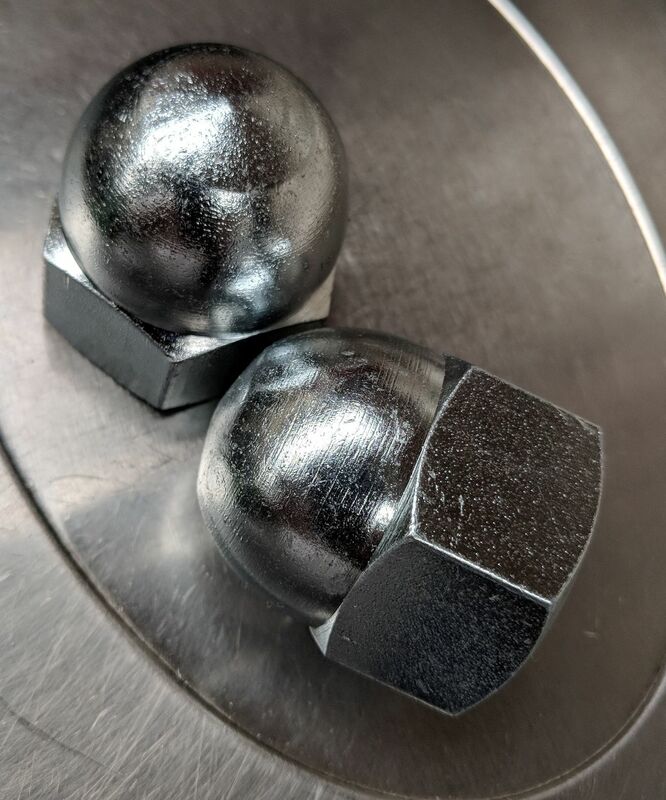 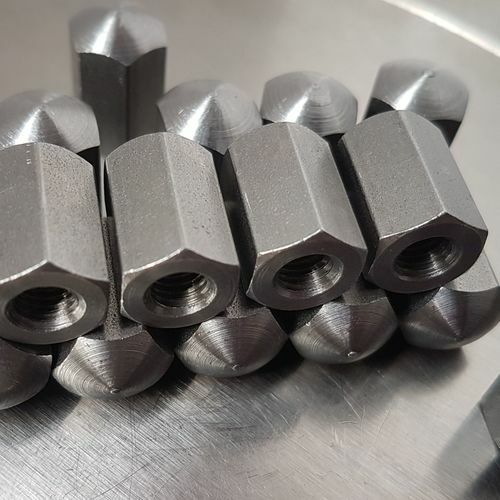 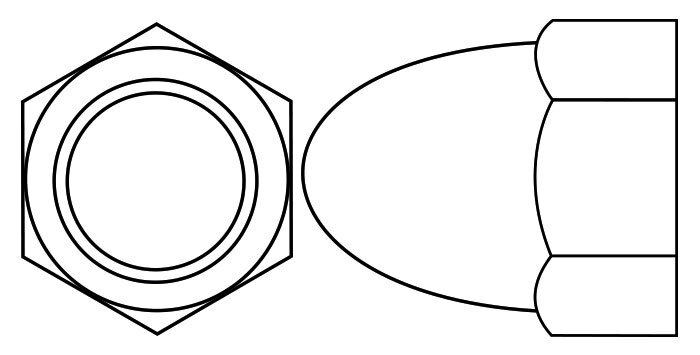 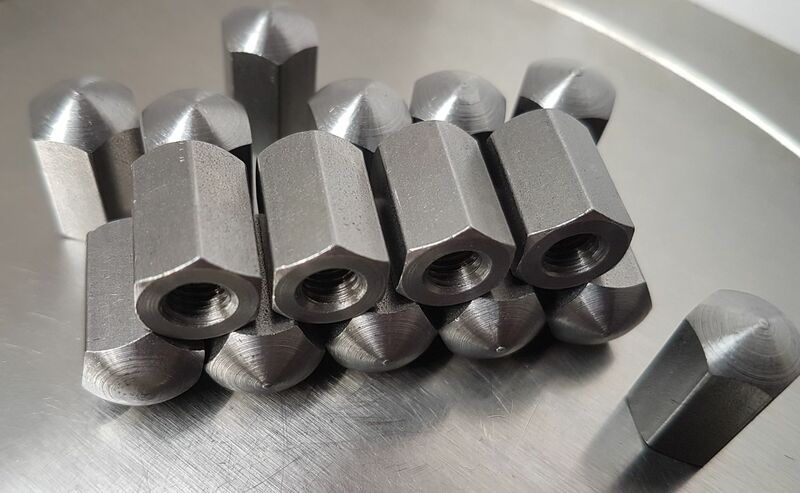 Trojan Special Fasteners can deform nuts from the sides to provide a prevailing torque feature on your nuts - as no open standard for these exists we would ask that you provide your dimensions or a drawing and we can manufacture to that. 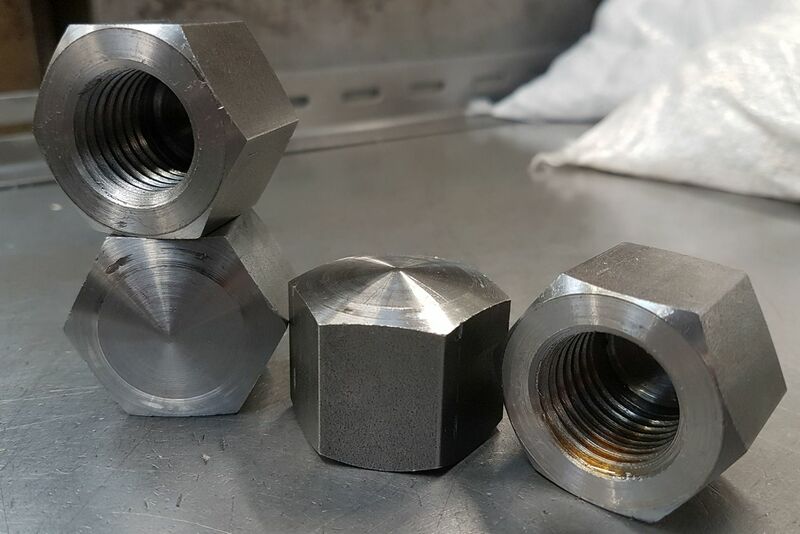 Additionally, we can torque test your nuts for you, just provide us with the female threaded part and we'll take care of the rest! In addition to standard preferred sizes, we also manufacture non preferred sizes and non standard or special thread and nut forms.